If you are always fond of carrying your sleeping bag more than you sleep in it, then you need to consider an extraordinary lightweight bag like the Sea to Summit Spark Sp II. 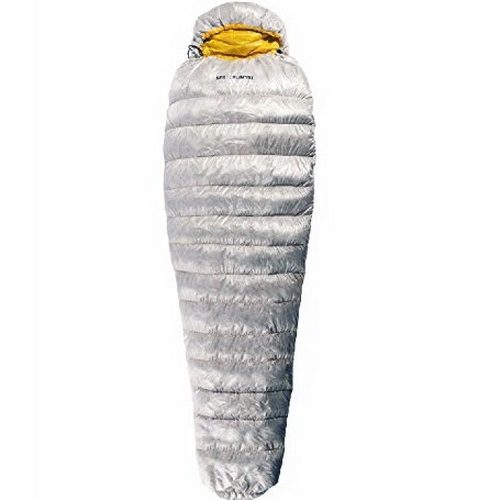 This amazing sleeping bag is a greatly warm, one pound, bag for sleeping. This minimalist brand is an awesome choice for climbers and backpackers hoping to save weight and space for particular mountain goals. 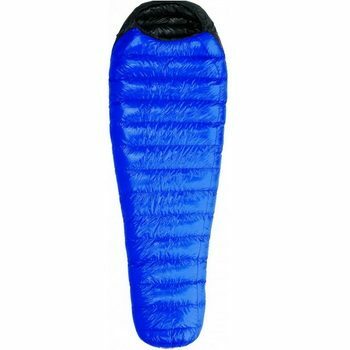 This sleeping bag is a phenomenal choice for the specific utilization of light and fast backpacking. Read on to have a perfect understanding of the outstanding performances, features, evaluations and other relevant information about this amazing sleeping bag. Before you can settle on any decision to purchase a sleeping bag, it is imperative to know what aspects to consider so as to ensure you choose the right product. There are numerous options to choose from, making it daunting to select what is ideal for your case. When choosing a sleeping bag, make sure you consider factors such as weight, comfort, versatility, price, material and packed size. From the nature and properties of the Spark II, it is easier to see that the manufacturers paid attention to detail and put important aspects in mind for the longtime hiker or camper. The Sea to Summit Spark II was designed for people traveling exceptionally light without compromising warmth. The result of the manufacturer’s consideration is a product with the best warmth-to-weight ratio for a hooded gear. When backpacking or camping, you’ll need to make sure that you have a decent sleep after a long day of hiking so you can feel reenergized to perform even better the following morning to complete all your hiking objectives. There’s nothing worse than spending the night in the cold because your sleeping bag failed to provide the warmth needed, or your bag lacks the necessary accessories to protect you from the cold. Your sleeping system should be able to meet your outdoor criteria and protect you from all external elements especially the cold. You also want to reduce your backpack’s weight every time you are taking part in an outdoor adventure. This is why it’s advisable to ensure your luggage is as light as possible. The Spark II is one of the lightest bags within its rating, and would be ideal for most long-distance expeditions. When picking your sleeping bag, also check to ensure that the equipment is rated for the temperatures of the place you’ll be exploring. Every bag has a rating that allows you to know the temperature at which it will keep you warm. Be sure you select something that is ideal for the conditions in which you’ll be exploring. To keep its users warm, the Spark II utilizes box wall baffles as opposed to sewn-through construction (cheaper and easier to create but not as warm). It includes the foot box since the extremities often get cold easily. The 1/3 zipper of the Spark II has a draft tube which keeps the cold at bay and a hood baffles and enlarges neck to limit the cold from getting in from the top. The Sea to Summit Spark II Sleeping Bag incorporates the best ever compression sac, which is not really surprising as all the Spark Series bags are known for their Ultra-Sil compression and stuff sac. Apart from that, this sleeping bag also comes with a compression sack that protects the gear while laundering, and also incorporates a mesh bag for storage to help maintain the loft of your sleeping bag. Every detail of its package is employed to help keep the Spark II light. With the inclusion of a convenient packing mechanism, you don’t need to worry about carrying your sleeping bag around. In the technically brilliant world, it is commendable that the performance of some natural items has not been surmounted. Regardless of advances in modern fiber innovation, Sea to Summit Spark SPII is still the impressive warmth insulator and is likewise a sleeping bag with great durability. The issue with this sleeping bag is its susceptibility to water; moisture diminishes the capacity of the sleeping bag to the loft to its maximum capacity and insulate, thereby diminishing your sleeping bag’s warmth. Once it is wet or damp, it takes quite a while for it to become dry and to successfully insulate once again. Soft loft down and materials make the SPII a sensibly comfortable sleeping bag. It features a thin fit that permits little room for flailing wildly within the bag. Nonetheless, it fits sufficiently close that it is quite easy to shift with the bag. It has a hood, which includes a touch of warmth and solace over a hoodless ultralight layout. The Sea to Summit Spark SPII bag has the slimmest cut compared to all other sleeping bag brands. The tight cut, short zipper, and absence of included components made this an extraordinary bag to convey, however seriously restricted sleeping solace. Some people do feel extremely contracted, however, slighter-assembled climbers likewise communicated a few reservations about the narrow layout of the middle region. The short zip likewise influenced comfort amid moderate evenings when some additional ventilation could have counteracted additional warm buildup. The genuine comfort wins for this sleeping bag comes in the backpack—it packs little and is extremely lightweight, therefore making you quite comfortable on the trail. The bag weighs an impressive 18 Oz. in a lengthy size. It achieves this by featuring a thin, fit, lighter fabrics all around, a one-third length zipper, and also 850+ fill down. It is generally very straightforward in design, and space and weight are the essential contemplations for anything that is a piece of the SPII. Some of the bags that contrast weight wise are the costly Marmot Plasma 30 and also the Western Mountaineering Highlite bag. You can check out more Ultralight Sleeping Bag Review for some other non-conventional bags that are more similar in weight to the Sea to Summit SPII sleeping bag. The hood on this product fits low on the face level, and has huge holes for warm air to get away. There is likewise no draft neckline on SPII. Packed Size. 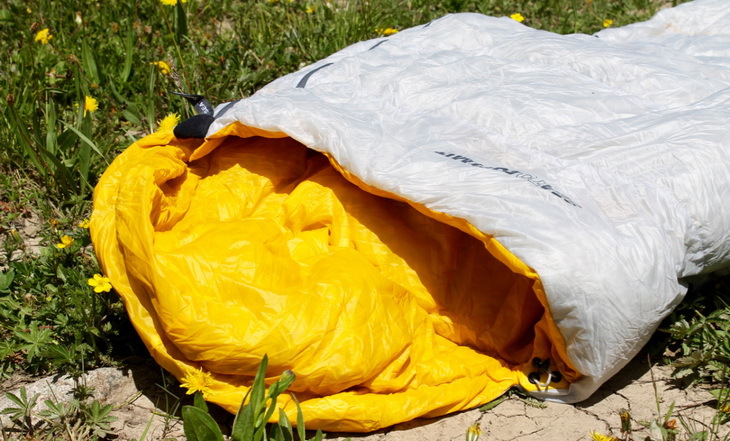 The Spark SPII sleeping bag gives an extraordinary silk-nylon compression bags. A particularly little pack, it is imperative to have the capacity to get the sleeping as little as could be expected under the circumstances. All pressed up, it is smaller compared to a football; making it truly simple to crush into the edge of a little pack. 3D And 2D Nanoshell Fabric Technologies: This is an exceedingly breathable, twenty denier face fabric treated with a Nano DWR to enhance water repellency, and also 3D Barrier, which is a non-woven silicone vapor hindrance barrier. This fabric technology protects the bag from outside dampness, while the 3D barrier functions well as traps buildup that comes up under the face fabric and keeps it from reaching the down layer underneath it. The 3D NanoShell secures the dry, lofty feature of the down fill. This is a perfect fabric for frosty climate and outdoor use. The 2D Nanoshell features similar innovation, twenty denier NanoShell fabric to enhance water repellency and breathability, yet without the hindrance. This fabric is perfect for 3-season or lightweight summer bags, or for non-undertaking cool climate sleeping. 2D Permashell Fabric: This fabric technology features a durable thirty-three denier face fabric that is greatly wind and water resistance. This is a breathable fabric, which enables condensation and moisture to get away and also down proof. Pertex Quantum Fabric: This is an ultralight, but shockingly sturdy face fabric with high-level water repellency. At 10 denier, this fabric is packable and lightweight, and also very breathable. Pertex Quan is also used in the Spark bag. Offset Baffles: The technology incredibly minimizes the loss of heat through the creases of the baffles, since those creases don’t adjust straightforwardly. This is a straightforward approach to building the proficiency of Sea to Summit sleeping bags without a perplexing baffle framework. Side Block Baffles: This fabric technology keeps down from moving from the bag’s head to the base, which enables every sleeping bag brand to have a different proportion of down in the top and base areas of the sleeping bag. 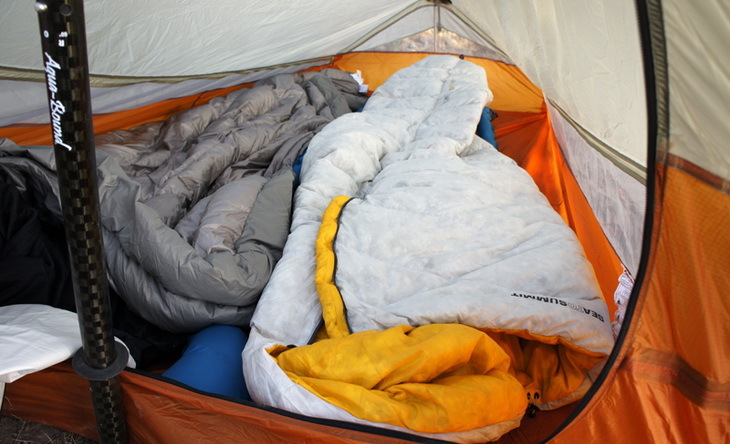 Down made in the sleeping bag’s base is compacted during sleep, therefore it is less thermally effective. 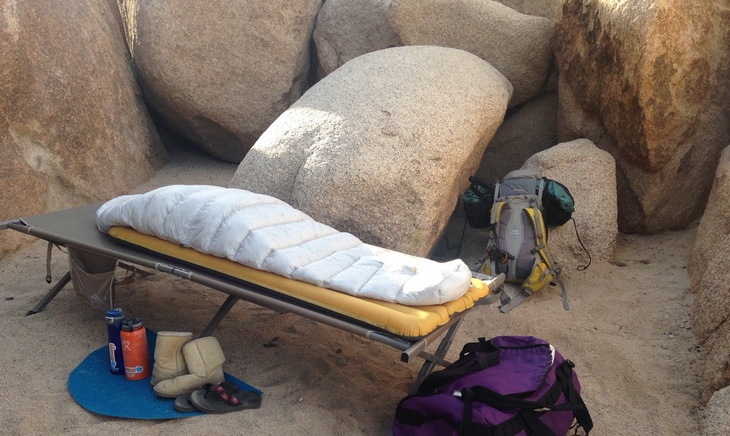 Sea to Summit uses this technology so as to build more down in the sleeping bag’s top where it will not be compacted. Zippers: Most Sea to Summit bags utilizes top notch YKK zippers, which are smooth and durable. Solid, 210 denier fabric in the draft tube counteracts zipper barrier and includes durability around there of the bag. Also, most sleeping bag models all have overwhelming YKK #5 zippers that are a similar length in all sizes, which therefore enable two models and sizes to be easily zipped together. The Traveler and Micro sleeping bags have lightweight YKK #3 zippers, therefore bags from these two models have the capacity to zip to each other. Versatility: High-level lightweight sleeping bags such as the Spark SPII are less versatile compared to the general outdoor sleeping bags. Their moderate layout won’t face delayed use in extreme conditions quite a long time. Unless you rest really warm or you are extremely tolerant for an eager night, we do not think this product will work well for shoulder season outing. If you need a more versatile and warmer bag, you can check out the Mountaineering Ultralite or the somewhat roomier Western Mountaineering Alpinlite sleeping bag also. These two bags are high caliber and lightweight, yet sufficiently warm to be utilized amid shoulder seasons. Compressibility: This Sea to Summit Spark SPII brand packs so little, it served as rugby ball amid one night in camp close by a snowfield in Central Oregon. The Summit II, when completely compacted, measured around 6 x 9 inches—which is the littlest stuffed size of any pack ever used. Other, approx. 1 pound sleeping bags, such as the Western Mountaineering Highlite bags, are comparable in cost to the Sea to Summit Spark SPII bag. Some other rival for the lightweight customary mummy style bag is the Marmot Plasma 30 bag, which costs 240 dollars and above! These bags are considered to be forte sleeping bags that possess an interesting purpose in your boondocks gear shudder. If you are planning on lightening your backpack for those special trips, you need to think about purchasing a lightweight bag such as the Spark SPII. 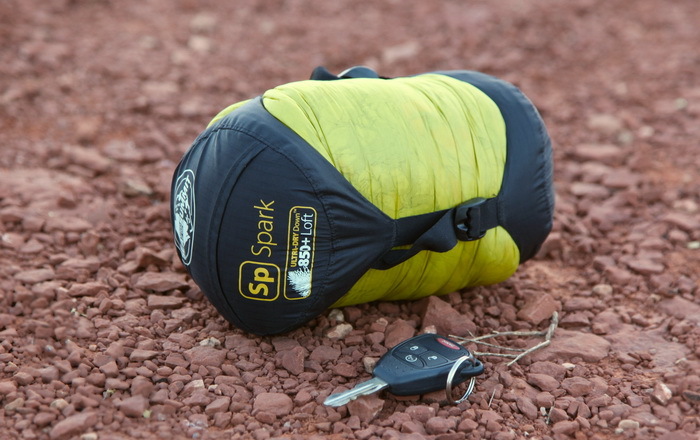 If you are searching for a valuable sleeping bag, you should try out the amazing Spark SPII. Extra lightweight bags such as the Spark II are less versatile compared to the general backpacking bags. 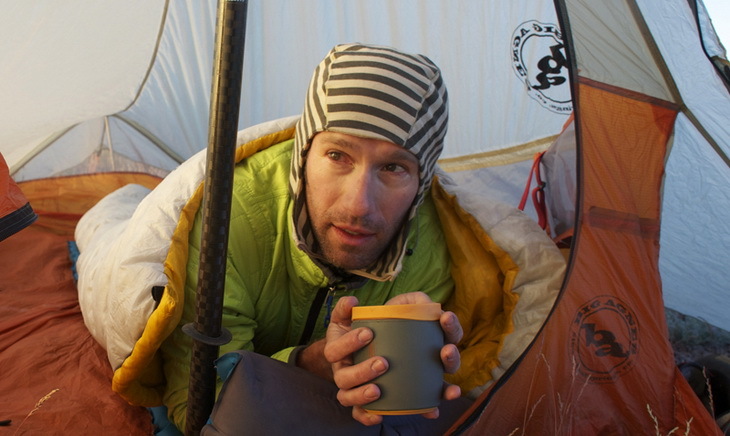 Due to their minimalist design; ultralight sleeping bags are not able to withstand prolonged use in harsh conditions. Unless you sleep very warm and are able to tolerate restless nights, then the Sea to Summit Spark II won’t hold up in extended trips with tougher conditions. However, if you are looking for a more versatile gear, something to keep you warm even in the extreme of weathers, the Western Mountaineering Ultralite is just what you need. This bag is lightweight and warm enough to be used in shoulder seasons. The full down collar of the Western Mountaineering Ultralite helps in sealing heat around the neck area without adding excess weight. The 16 ounces of high lofting down pumps the Western Mountaineering Ultralite to 5 inches. Sea to Summit Trek II is another gear that can give the Spark II a run for its money. As opposed to the Spark II, the Trek Tk II is a semi-mummy design which offers an excellent compromise between volume/weight and shoulder room. The good thing about this model is that it offers you a chance to use it as a blanket, although the zipping and unzipping of the Trek Tk II can be frustrating when it’s done in a tent. This bag has a 650+ loft, which means it’s less warm compared to the Sea to Summit Spark II, although this is not a deal breaker if you are a person who dresses warmly to bed. Costing approximately $310, the Trek II is relatively cheaper as compared to the Spark II, but there is more to a bag than its market price. Generally, the Spark II is relatively versatile and a bit warmer compared to the Trek II. Therefore, if you are looking for something affordable, you can go for the Trek Tk II model but if you are looking for warmth, the Sea to Summit Spark II Sleeping Bag is the ideal option. Another contender, the Sea to Summit Spark III, is an 850 Ultra-Dry Down and is more compact and suitable for winter hut as well as for three-season camping trips. This model is a permanent Nano-level water resistant and repellent polymer treatment which holds over sixty percent more loft and absorbs thirty less moisture compared to the untreated down. Spark SP III is also anti-bacterial, anti-microbial, and dries faster, ensuring durability. Compared to other bags in the Spark Series, the Spark III is the warmest sleeping bag. It will serve you well during spring, summer, and mild winter adventures. If you are in need of something warmer, this is certainly what you need to buy. However, the Spark III is quite costly compared to the Spark II and the Western Mountaineering UltraLite; but if you are looking for performance, its cost should not be an issue. 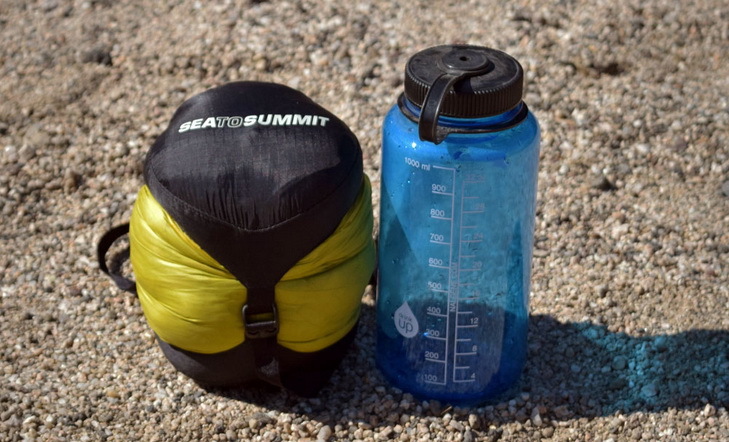 The Sea to Summit Spark II is designed for 3-season usage and weighs about 487 grams without its compression sac that adds thirty-four grams. The manufacturers claim the bag is about 464 grams, indicating that the bags weighs 23 grams less. The weight of the down fill is 280 grams, according to the manufacturer. The bag has 850+ ultra-dry down. Since the highest figure for sleeping bags is 900, 850 is as good as the bag can get. The fabric shell of the Spark II is 10D ultra-light nylon which is treated using a Durable Water Repellent component. Apart from the above, the Spark II is an extremely light bag with an amazing packing size. The bag can fit into a 2.9 L compression bag that is compressible further owing to the down feathers. In addition to its unchallenged compressibility, this material offers the best insulation. Moreover, the warmth offered by the Spark II is outstanding. Since it’s ultra-light, you wouldn’t expect the bag to provide the warmth it does. Although its 10D nylon fabric is very thin, the Spark II is quite durable and strong. Even after you have used the bag for an extended period in the wilderness, you will discover that there will be no feathers coming out since the outer shell is quite strong. Apart from the Spark II, there are other sleeping bags that we have also included in this guide for your review. 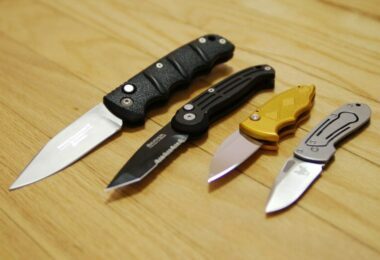 You can take a look at them and assess what is ideal for your case. Although these sleeping bags are almost similar in performance, there is slight variation in the amount of fill, their price, and the materials they are made from. The Sea to Summit Spark SPII is a Superlight, minimalist, smartly featured sleeping bag for great adventures. It should be utilized for light and quick goals in the mountains where each ounce and each cubic inch matters. Greatly insulated, this lightweight summer bag for sleeping, is comfortable for a mid-elevation territory. 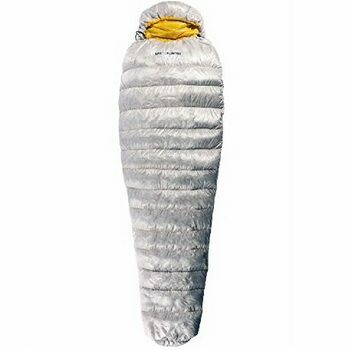 We recommend this sleeping bag for people who already possess a 3-season bag, which is their generally useful workhorse and require an ultra-light bag for particular mountain outings. It is a greater value compare to all other super light bags, and it is relatively expensive as it goes for approx. $400. However, the price is quite reasonable given the features the Spark II has to offer. 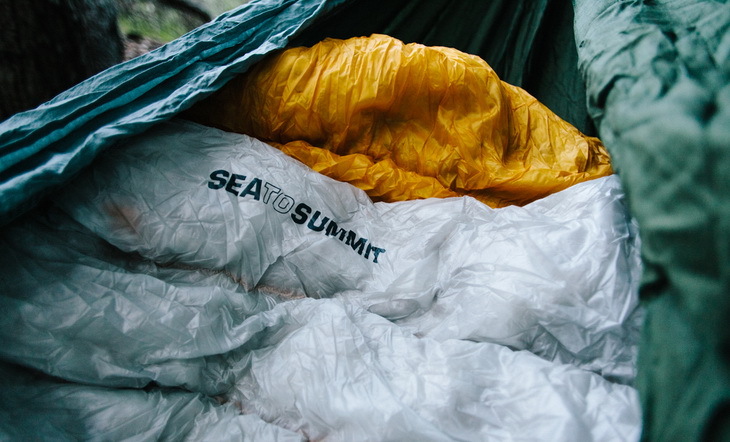 Generally, the Sea to Summit Spark II is a warm sleeping bag. This model is ideal for climbers and backpackers looking to save pack space and weight for their mountaineering objectives. The Spark III is an ideal bag for applications where light backpacking is required. However, if you are looking for something that can provide additional warmth, the Spark III, though a bit expensive, would be an ideal option. On the other hand, if you are looking for something more versatile, the Western Mountaineering UltraLite Sleeping Bag would be your ideal choice. 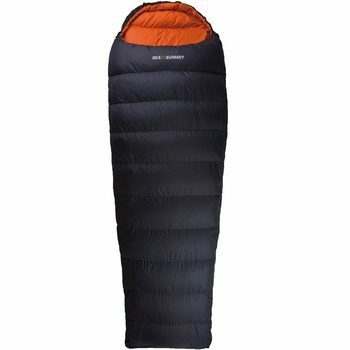 In overall, The Sea to Summit Spark II Sleeping bag is most suitable when considering both warmth and price. Due to the features it presents, it is safe to say that the Spark II is somewhere between the Western Mountaineering and the Spark III, providing comfort, warmth, and convenience at an affordable rate. If you are planning to spend a significant amount of time carrying your bag around than sleeping in it, a model such as the Sea to Summit Spark II should be the ideal option. However, for a more all-rounded three season bag, consider the Western Mountaineering UltraLite. So, did you find this article helpful? Are there any other aspects of the Spark II model we missed? 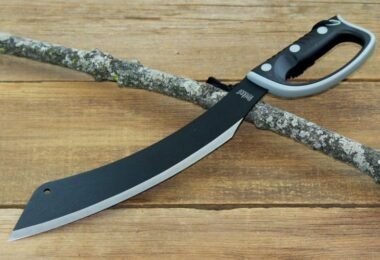 Do you have any other model that can be compared with this model? Please let us know if there is anything we missed by posting your comments below. If you have suggestions or recommendation, or additional information that would complement our review, also feel free to include the same in our comment section. We will be more than thrilled to hear from you.